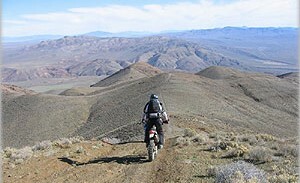 Donny saddles up for the 500+ mile desert dual-sport ride that IS the AMA’s annual LA-Barstow-Vegas dual sport extravaganza. What started out as a true race in the 60’s, with over 3500 riders, still boasts over 600 participants, only 60% of whom will finish. Desert riding is unique, listen in for the particulars. 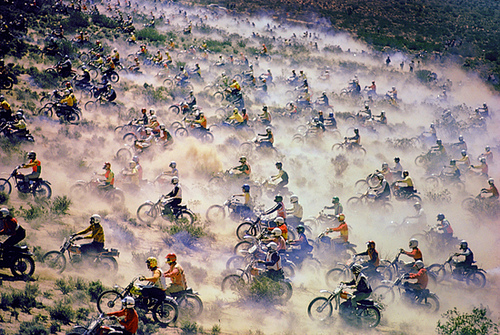 Did you ride as a youngster and yearn now to get back into the dirt? 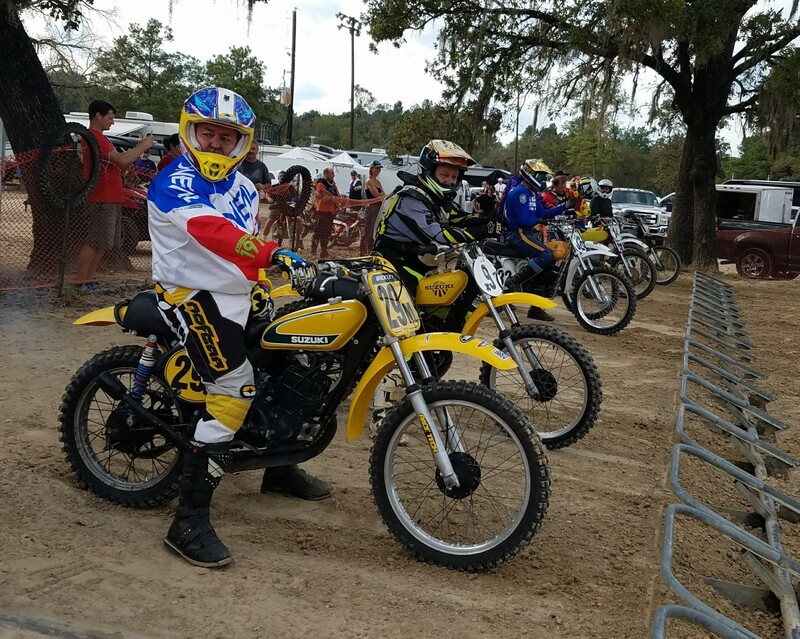 Gary Davis leads the Balls to the Wall Racing crew, a hodge-podge of seasoned racers and re-joiners for AHRMA’s races at Rio Bravo’s Old School Reunion. No one, and no bike is too old to race and race hard! 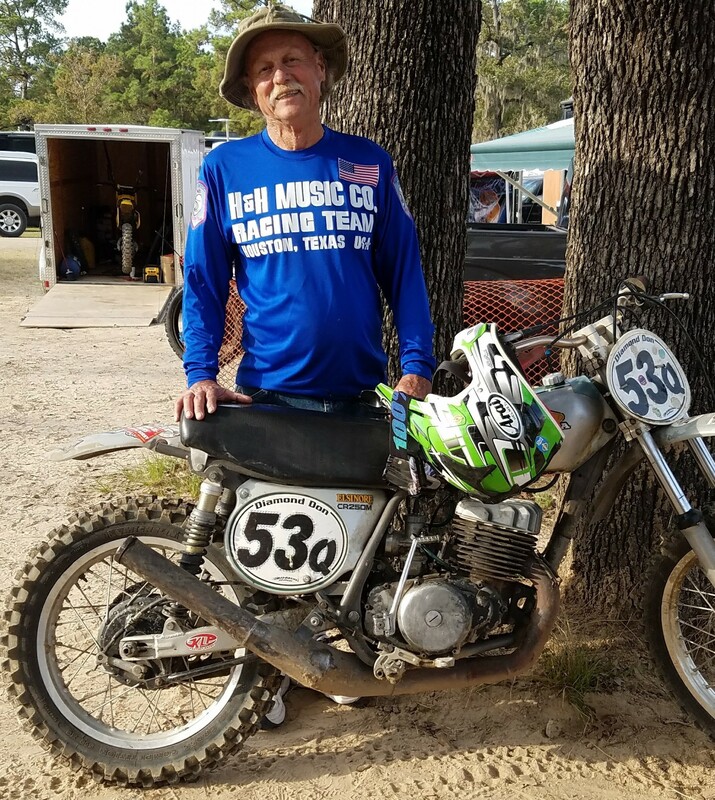 Diamond Don is a name that everyone in the Houston MX world, especially the Vintage circuit, knows well. With almost 50 years on two wheels, he knows the ropes. 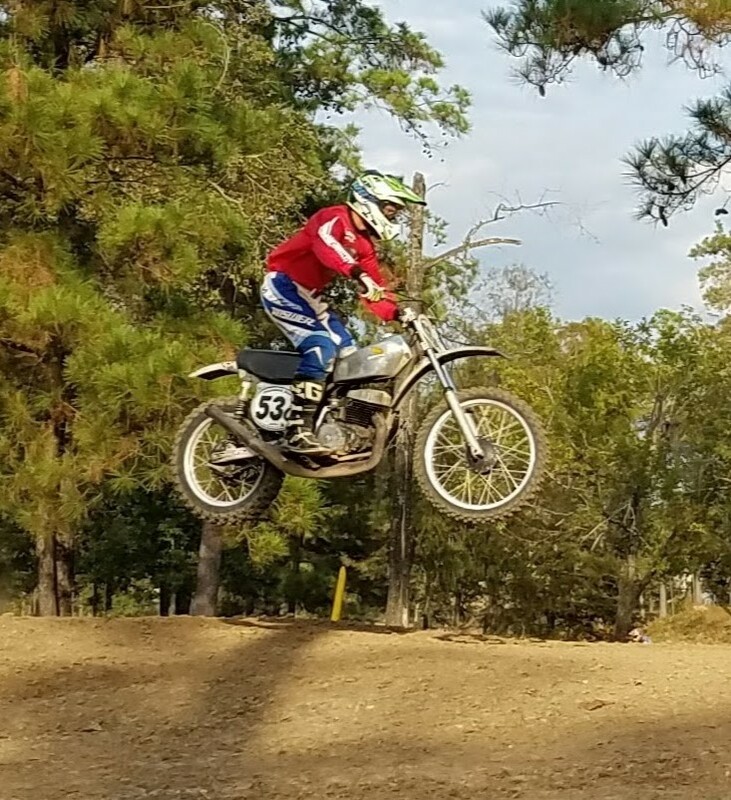 His Jefferson, Tx Park and Event Center host one of the world/s premier vintage MX events (and many others). Flying through the air at the weekend’s event was AMA Pro SuperSport West Coast champion Ricky Parker, son of two-time Grand Prix motocross world champion Trampas Parker. Can you get any better MX genes? Does he know how to use ’em? And if you missed him in Texas, catch up to him in Louisiana at his brand new Desoto MotoSport Park. 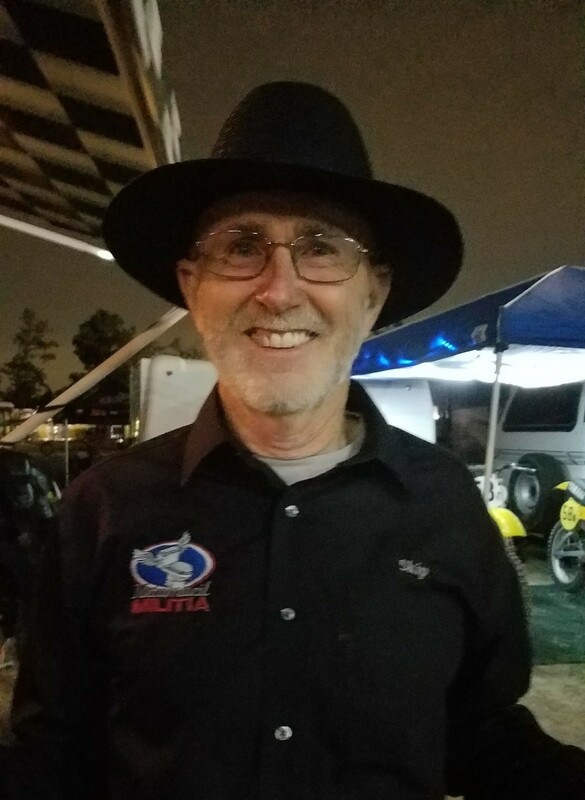 Skip Kennedy brings 40+ years of racing know-now to AHRMA events and shares wit and wisdom to the course which he’s confident will win him a national championship in this, his 70th year. No excuses, folks! 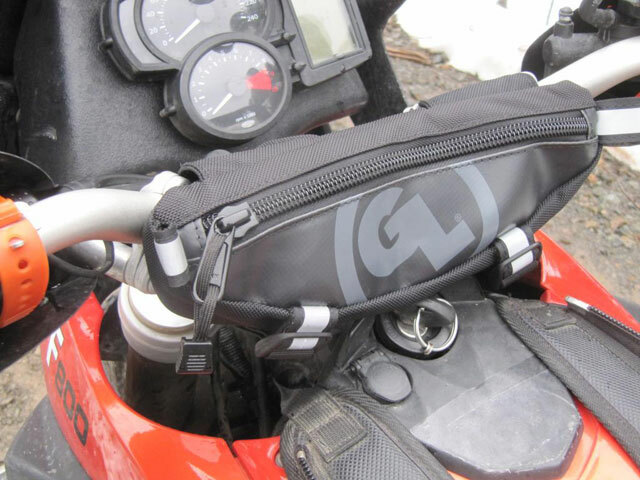 “The dirt bike’s glove box” is what they call Giant Loop’s Zig-Zag Bag . For those who aren’t comfortable with a tankbag when riding in the dirt, this handlebar mounted solution may fit the bill.